Australia happens to be the third most popular destination for international students, after the USA and the UK. Numerous international students choose to Study in Australia because of its great and friendly nature, excellent education system, and high standard of living. Here are a few more reasons to study in Australia. 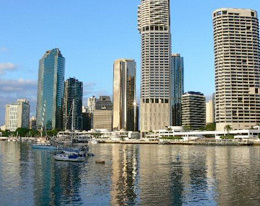 The country offers global recognition with its Postgraduate Courses in Australia and these courses are recognized by employers around the world for excellent international reputation that the Australian education system holds. Another reason for choosing Australia is the Cost of living. Tuition fees for Masters in Australia and living expenses are lower compared to other popular countries. International students can further offset living costs with part-time jobs. Also, the quality of academic research opportunities the country offers is unparalleled. International students can take advantage of Australia’s impressive research resources and technology. We can help you in your research to find the best colleges in Australia today to get the opportunity of studying at your dream destination. Along with having an experience of over 12 years of helping students avail Postgraduate Courses in Australia, we are also proud to represent 50 premier and state of the art colleges & universities in Canada, UK, USA, New Zealand and Singapore. Contact us today and we can arrange a session to inform you all about your favorite university and how to apply a course of your choice there!